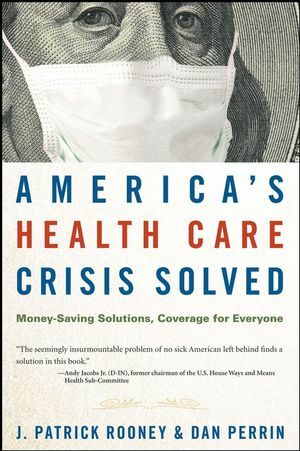 America’s Health Care Crisis Solved highlights the major pitfalls of our current health care system and shows why, without changes, health care costs will soon demolish the American economy as well as the opportunity to receive quality care. However, contrary to the increasingly popular idea of a government health plan, the alternative presented by authors J. Patrick Rooney and Dan Perrin brings the self-interest of you, the American consumer, into the equation. Dan Perrin is the author of HSA Road Rules, known as the bible of the HSA industry by bankers and insurers. He is President of the HSA Coalition and is widely acknowledged to have been a key player in the passage of every piece of HSA legislation that has made its way through Congress and been signed into law by the President in the last decade. Perrin is one of the nation's top HSA experts and has been quoted on the subject in every major newspaper in the United States.